Professor Linda Rosenman has had a distinguished academic leadership, research and teaching career in Australia and the USA. She has a PhD in Economics and Social Work from Washington University St Louis with extensive experience in research, both in the United States and Australia.Her research focuses on the social and economic aspects of aging. Current research is on intergenerational family relationships revealed through wills and will contestation. Previous research has included projects on womens’ retirement planning, financial abuse and mismanagement of assets of older people living in the community and in care facilities and baby boomer financial planning . She has researched, published and presented widely on economic security, superannuation and ageing, financial abuse and aged care and on intergenerational commitments with a particular focus upon older women. She has successfully supervised many higher degree students at UQ, CDU and in the USA. She is currently an Emeritus Professor at the University of Queensland , an Honorary Professor at Victoria University and a Professorial Research Fellow at Charles Darwin University Northern Territory. Prior academic appointments include Deputy Vice Chancellor Research and Provost at Victoria University Melbourne, Professor, Executive Dean, President of Academic Board and Head of School at The University of Queensland, and Professorial Research Leader at Charles Darwin University. 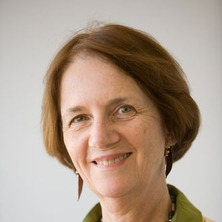 Professor Rosenman has a long history of community engagement within and beyond the tertiary sector, and was awarded an Australian Centenary medal for her services to education and the community and the Paul Harris medal of Rotary International for her contribution to developing Peace Studies at UQ.. She has a long history of engagement with India including an Australian Government fellowship to undertake research on ageing in India. She has served on and chaired many boards and commissions in the academic and community fields including the Council on the Aging, the TJ Ryan Foundation, the AAG and is the past President of the Council for the Humanities, Arts and Social Sciences (CHASS), of the Australasian Council of Deans of Arts, Social Sciences and Humanities and of the Association for Social Work and Welfare Education, as well as many other Boards, Commissions and advisory councils in education and the human and community services sectors. White, Ben, Tilse, Cheryl, Wilson, Jill, Rosenman, Linda, Purser, Kelly and Coe, Sandra (2015) Estate Contestation in Australia: An emprical Study of a Year of Cases. University of New South Wales Law Journal, 38 3: 880-910. Work and retirement later in life: Is retirement a relevant concept for the 21st century? Rosenman, L. S. (2005). Work and retirement later in life: Is retirement a relevant concept for the 21st century?. In V. Minichiello and I. Coulson (Ed. ), Contempory Issues in Gerontology: Promoting Positive Ageing (pp. 120-143) Crows Nest, NSW: Allen & Unwin. Rosenman, L. S. (2000). Turning threats into challenges: A positive perspective on the future. In I. O'Connor and P. Smyth et al. (Ed. ), Social Work and The Human Services (pp. 190-197) Malaysia: Longman. McCawley, A, Tilse, C F, Wilson, J E, Rosenman, L S and Setterlund, D S (2006) Access to assets: Older people with impaired capacity and financial abuse. The Journal of Adult Protection, 8 1: 20-31. Managing older people's assets: does rurality make a difference? Tilse, C. F., Wilson, J. E., Setterlund, D. S. and Rosenman, L. S. (2005) Older people's assets: A contested site. Australasian Journal on Ageing, 24 Supplement: 51-56.
International developments in social security privatization: What risk to women? Reconceptualising the Financial Abuse of Older People: An Inter/Intra-Generational Asset Management Model. Equity of access to Commonwealth funded hostels for the elderly.